It’s a tribute to those who have served, it’s filled with local artifacts and it’s located right at Manassas Regional Airport. It’s the Freedom Museum, and it’s growing in popularity and notoriety. The museum has artifacts from the Spanish American War to present. Donated from residents, these artifacts include the uniform of a sailor who went missing for 65 years, personal items soldiers took into war, mannequins dressed in authentic period garb, diaries and military art. There’s even a Coke bottle with sand from Iwo Jima. 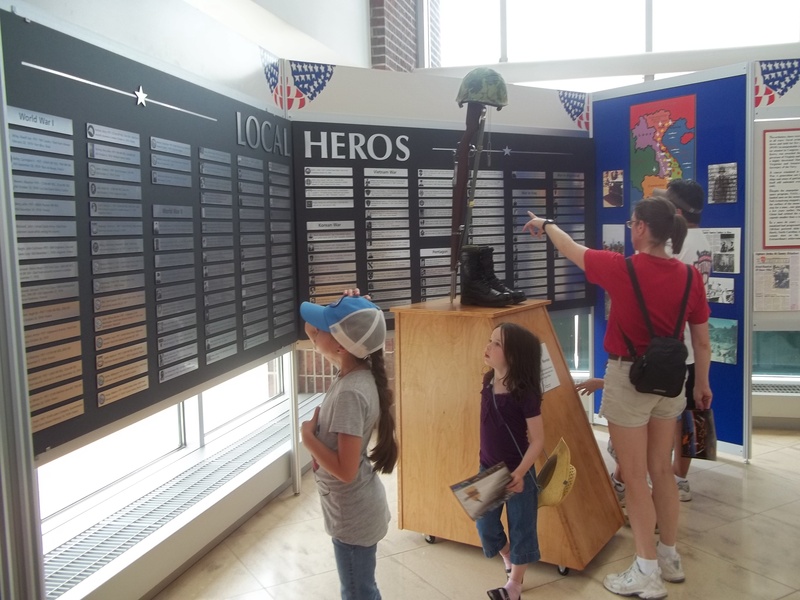 But Porter is especially proud of the Local Heroes Memorial, which recognizes all of the men and women from Manassas, Manassas Park and Prince William County who died in the wars from WWI to present. A Smithsonian Affiliate, the museum is for adults and children alike. Children are encouraged to take part in a scavenger hunt, answering questions by searching for answers in the museum itself. And since the museum is in an air terminal, visitors can watch the airport’s daily operations as well. Teachers can book the “Footlocker Program,” during which a veteran will come to the school with artifacts and source documents to teach a class on WW II, what it was like in uniform and on the home front. A B-25 bomber on a trailer can be parked in the school parking lot, enhancing the students’ learning experience. All research has been done by volunteers. The employees are volunteers as well. Porter says many are retired military service personnel who get a sense of comradery as they work for the community. Staff continues to collect donations of artifacts. The Freedom Museum is open 9 a.m. to 5 p.m. seven days a week. Guided tours can be scheduled by contacting the museum. The Museum also hosts guest speakers, book talks and unique demonstrations. For more information, call 703-393-0660, email freedommuseumgo@gmail.com or visit www.freedommuseum.org. The Freedom Museum is located at Manassas Airport, 10600 Harry J. Parrish Blvd., Manassas, VA, 20110. Admission is free.